No, it wasn’t time when the kids went back to school. Nor was it the time when the carved pumpkins were on the porch. 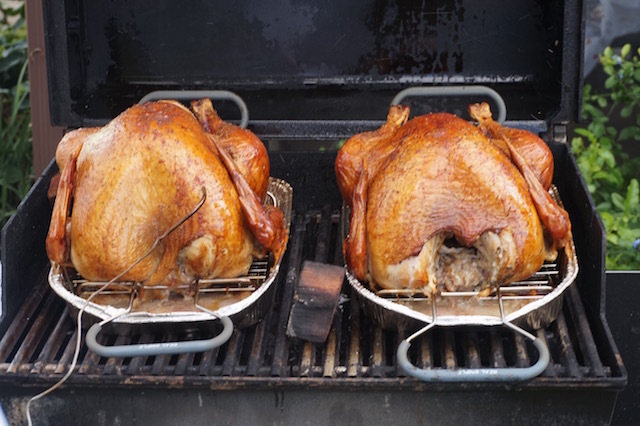 It wasn’t even time when the turkeys lay in the brine, or after those bronzed beauties were pulled from the fryers, ovens or smokers for Thanksgiving. No, NOW it’s the time for the holiday season to begin in earnest. 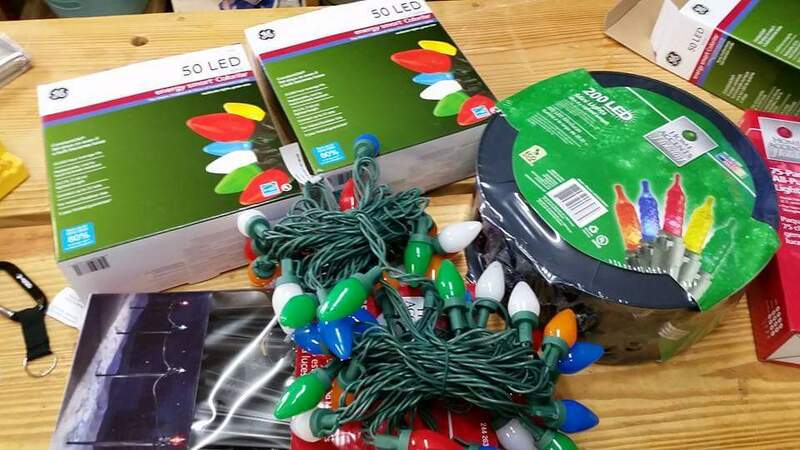 Which means after a turkey sandwich or two, I had to start stringing up a few sets of lights. Oh, and I had to start a little bit of shopping. Now, I was not about to start doing any of the Black Friday madness which took place early the morning after the feast, but I do have to say that the home improvement centers are definitely stepping up their game when it comes to impressing woodworkers. Formerly the home of just the avid DIY woodworkers, home centers are stepping up their offerings considerably. 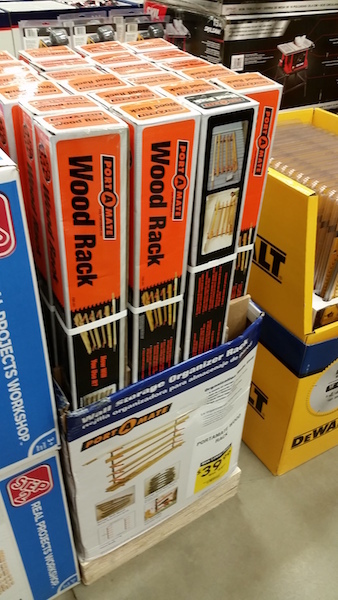 Take for example that Lowe’s is now carrying many of the Kreg and Bora lines of tools, especially their Portamate Wood Rack – definitely a specialized tool to the woodworking community. 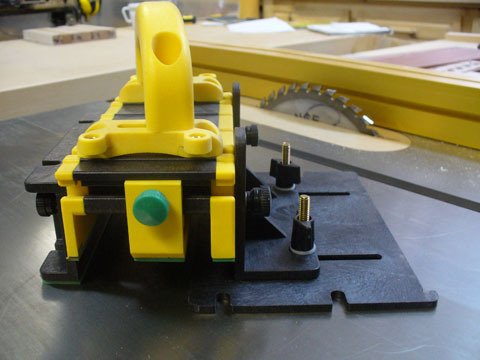 Add on the folks over at Home Depot carrying a wide array of power tools and high end Bessey Clamps, and if you are looking to drop a few hints to your loved ones, or seeking to buy a woodworking gift for a friend, you might want to consider there. At more specialized woodworking stores, you can definitely find whatever you seek. From the major 220 volt cabinet saws to paring chisels that can nick off a whisker at a time, there’s a tool for everyone. Here’s a hint if you are looking to buy for someone or make some suggestions – try to think of a particular aspect of your shop work you want to focus on. For instance, we so often overlook safety in our urge to get the shiny tools. Why not spring for something like a MicroJig Grrr-ripper push block? 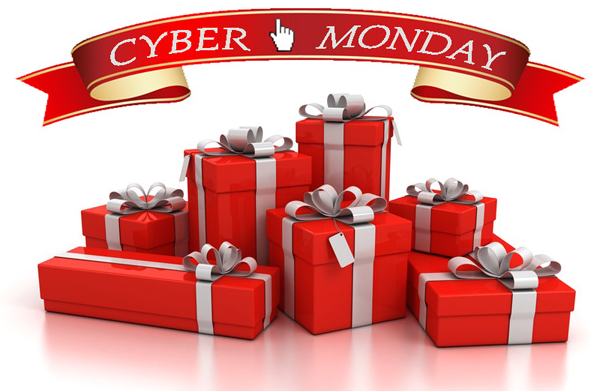 And, we all know that today is Cyber Monday, when we tell our bosses to take a hike and we get a ton of shopping done at our desks. Just kidding. With wi-fi and 4G speeds so darned fast these days, there’s no need to soak up the company’s bandwidth anymore. The deals you can find online are totally impressive, and you know there are a few places I would recommend you check out for some awesome deals (ahem, Infinity Tools and Bell Forest Products). Also remember that most online places have wish list features, so be sure to ask your friends for their lists – and put your own items up there – just in case you want to make shopping a little easier for friends and family. Oh, and if you want a chance to get some awesome goodies for yourself, Iggy and I are still looking for some Last Minute Elf ideas for our ongoing contest. Just be sure to send an e-mail to Iggy@tomsworkbench.com with a photo of a holiday gift you have built. The idea is something that doesn’t take a lot of time or material, but will make for one happy recipient on the big day. In the meantime, we’ll post the best ideas on the site the week of December 7 – 11, and we’ll name the winners by random draw or by my hairy woodworking friend throwing banana peels at random entries. Previous PostFeeling ThankfulNext PostHo Ho Holy Smokes! Did you forget Tormek, or aren’t they on board anymore?